Research says dogs understand us! We’re Happy to Be Landfill Free! © 2006 - 2014 freshpet, all rights reserved. Do you ever find yourself talking to your dog, wondering if they even understand half of what you’re saying? If you fall into this category, you’ll be very excited to know that it turns out dogs not only understand our words, but our different intonations as well. In a new study by Eotvos Lorand University in Budapest, researchers found that dogs have the ability to distinguish words and the intonation of speech. What’s really interesting is that the regions of the brain responsible for this learning are very similar to those used by humans. When humans speak, we rely on both our words and tone to communicate a message, and certain types of language are connected to specific types of tone. For example, when you are feeling excited or happy it’s likely that you may speak in a higher pitch than if you’re upset. As it turns out, dogs rely on these buildings blocks of speech, too! 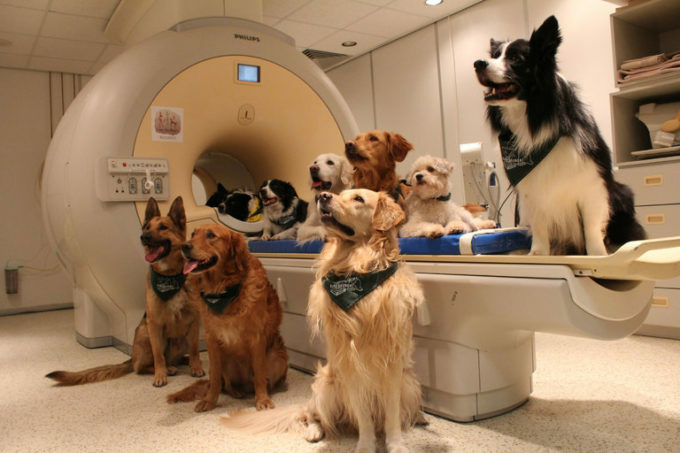 Using an MRI machine, researchers analyzed dogs’ brains while receiving different combinations of vocabulary and intonation. What they determined was that dogs use their right hemisphere to process intonation and use their left hemisphere to recognize each distinct word. If that isn’t surprising enough, dogs rely on both the word and its intonation when determining the reward value of what is being said to them. So when people tell you that dogs don’t get what you’re saying, you can finally tell them they’re wrong! We’re sure that pet parents will agree that this is exciting news. Not only does it make talking to our pups completely acceptable (which is good because, admit it, you already do it anyways), but it also has huge implications for training. Knowing that our dogs understand vocabulary and tone means that when it comes to training, both can be utilized to ensure we’re communicating clearly. When practicing commands with your dog, the most effective way to communicate would be using clear words such as “sit,” “down,” or “stay” paired with a higher, praising tone. When they perform the command correctly, you can reinforce the behavior by giving your pooch their favorite Freshpet treat as a reward. 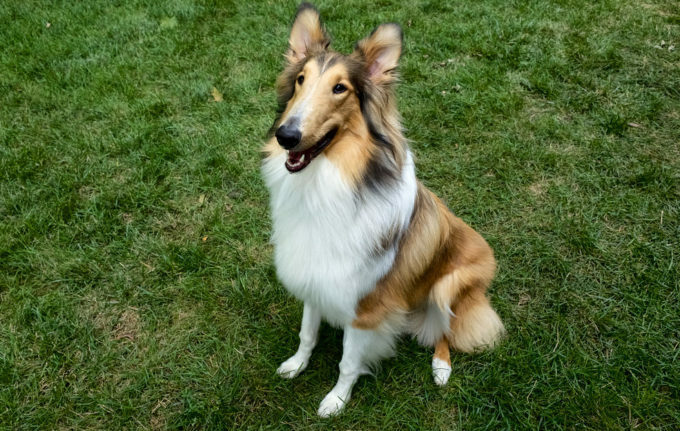 While your dog will understand if you say the commands in a different tone, consistently using a praising tone will cause them to place an increased value on it. 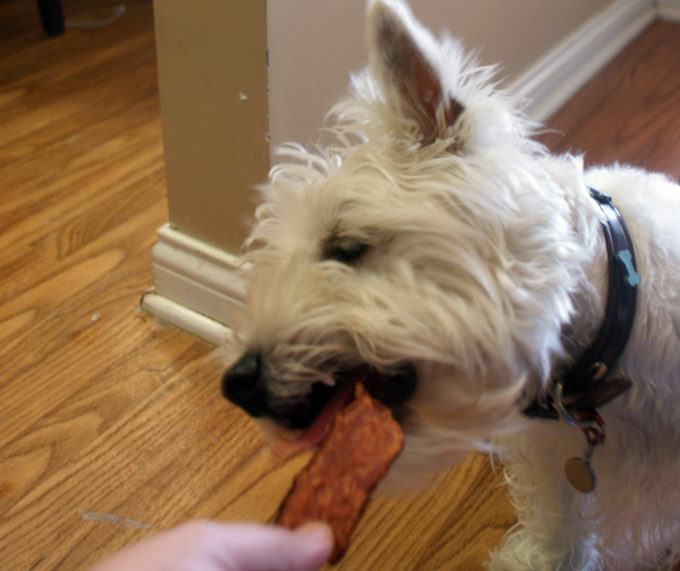 Plus, when you follow up with a tasty Fresh pet treat, we have no doubt your pup will quickly pick up new tricks! We're Happy to Be Landfill Free! At Freshpet, we believe that if our families are eating fresher, less processed foods, why shouldn’t our pets? That's why we make Freshpet dog food and cat food with fresh, all natural ingredients. Our fresh pet food is gently cooked with no chemical or artificial preservatives. To see what pet parents are saying about Freshpet food, visit the Freshpet Reviews site and our Freshpet Facebook page.